- BE CAREFUL NOT TO INCLUDE SPOILERS! 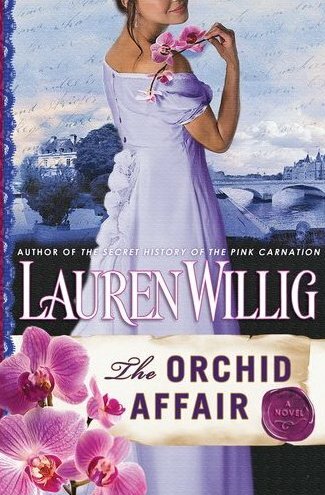 This edition of Teaser Tuesday comes from my current read of The Orchid Affair by Lauren Willig, which I am enjoying very much! "The most dangerous animals weren't the ones who barked and bayed. They were the ones who tool their time to bite and sank their teeth the most deeply. The cunning ones. The quiet ones." "I'm the most powerful man in the universe. Nothing bothers me, least of all the fact that two hundred women living in my palace don't love me." My 10 Favorite Reads of 2010!! Enter to win a ROYALLY OBSESSED necklace! !